It's early this year . . .
in our little town . . .
Driving around, we found them . . .
One lone lily at the edge of a vacant lot . . . 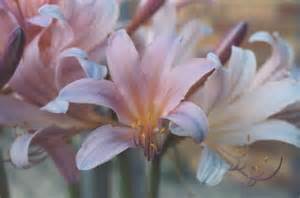 But rather, the flowers known as "Naked Ladies"
The other names -- magic, surprise refer to the plant's split personality. The leaves in the spring. Like feuding in-laws, the leaves and flowers refuse to appear together! 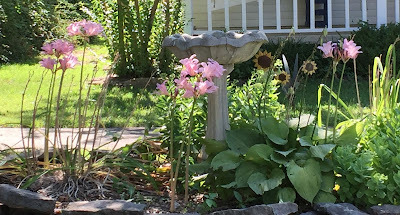 The good news is that they are an easy plant to grow for they're not picky and they're great in a border where their foliage helps fill in before other later perennials appear. They do best in full sun but as you can see from the sightings around town (and in Linderhof's garden), they will be okay in partial shade. 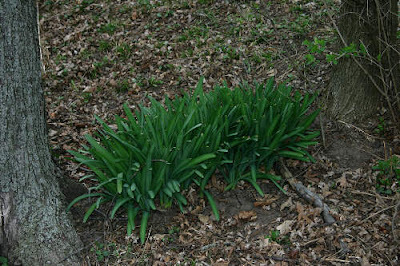 I'm told that the bulbs multiply and every 5 years or so should be dug and separated after flowering . . . but I've never done that. 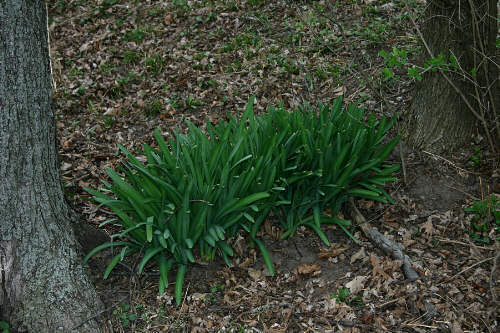 I also have some that come back every spring with their leaves but don't bloom in the summer. 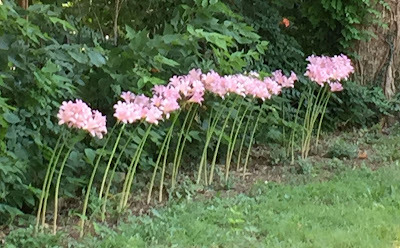 the naked ladies bring a smile to my face. With very little attention on my part! 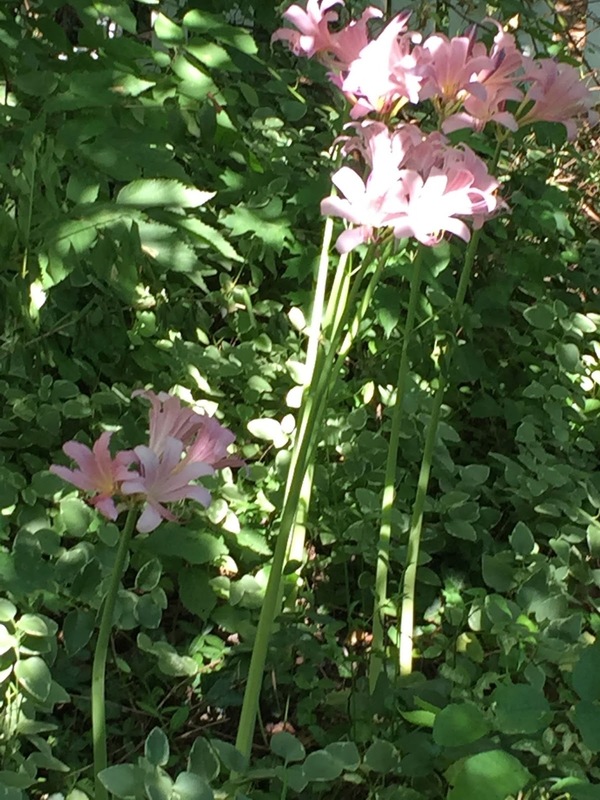 Do you ever see any "Naked Ladies" in your town? I tried moving and riding our lawn in Prescott of "Naked Ladies"! Year, after year, after year. . .and still they returned! there would be a clump of them on the North side of the lawn. . .still! I'm glad you enjoy them. . .as did my Dad! They're pretty, and if they are hardy and stress free I think I would like them a lot!